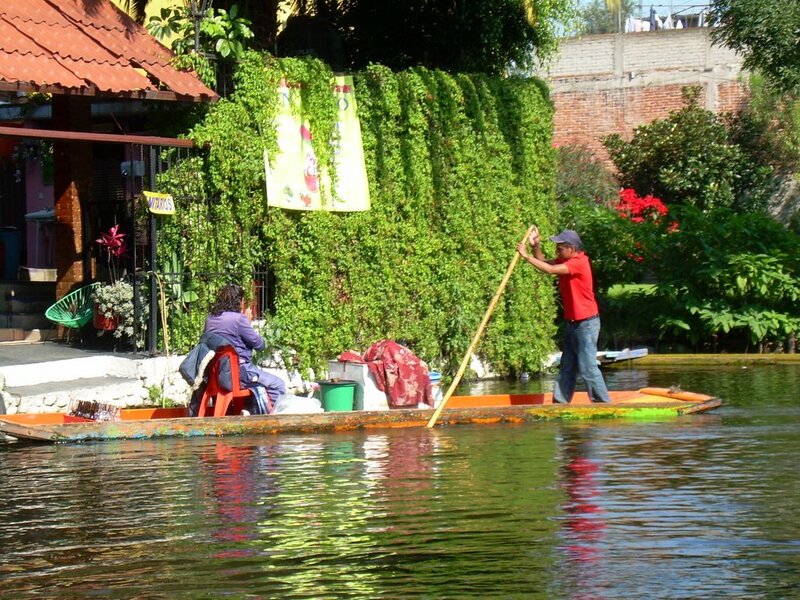 Photos and life stories from Mexico, Newfoundland, and other places life takes us. 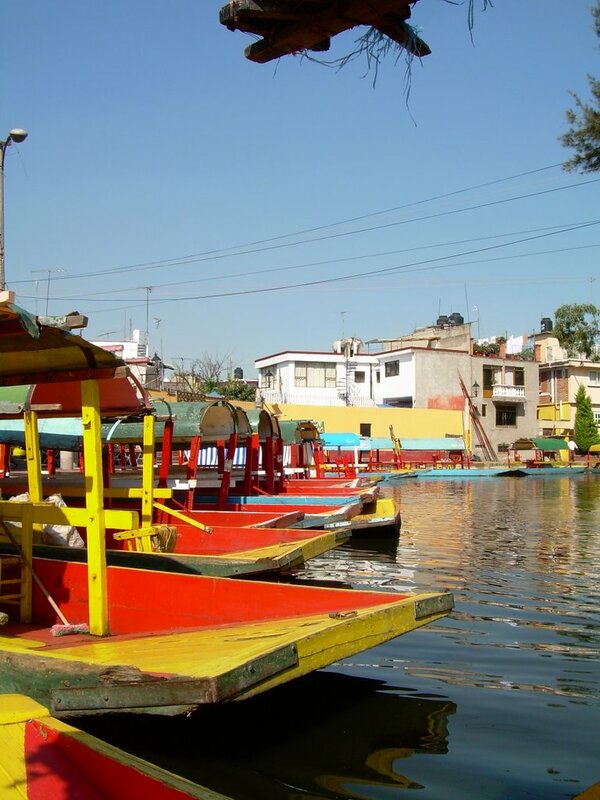 Mexico City has been built on a lake. 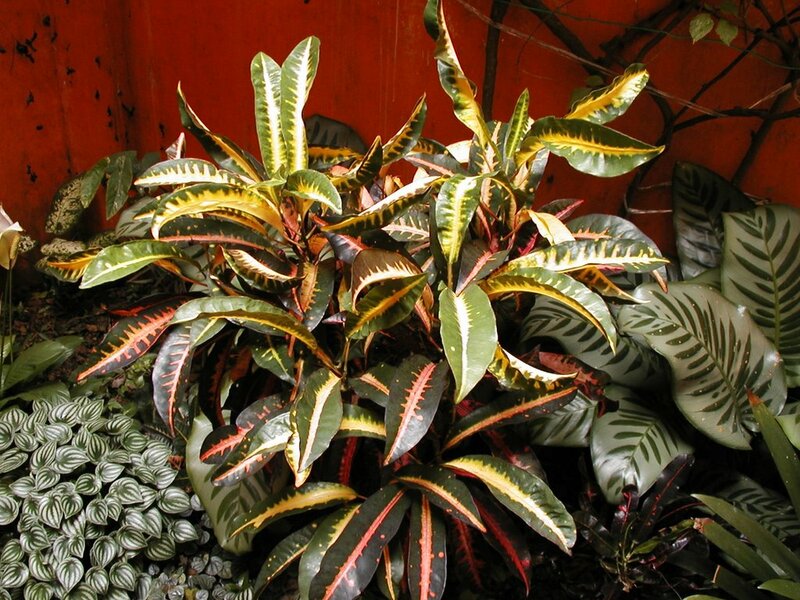 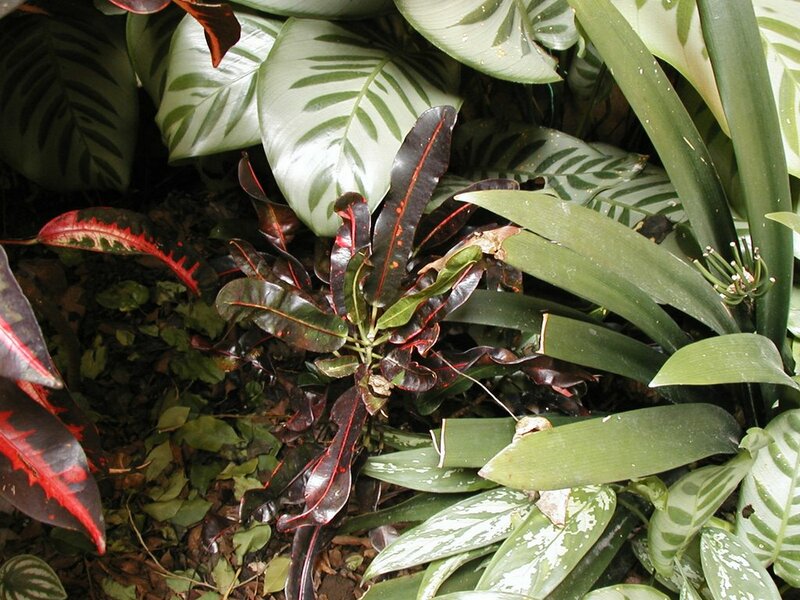 The project was begun by the Aztecs centuries ago, using a technique of driving saplings into the water and basically filling in the gaps between. The reclamation process was greatly extended in the south and south east of the city from the 1950s. Today older taxi drivers will tell you as they drive you down a street that they can remember when this was a canal, but now it is a paved road. 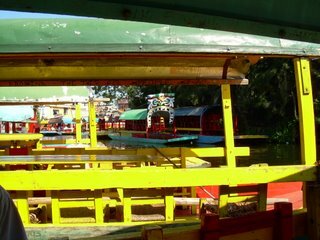 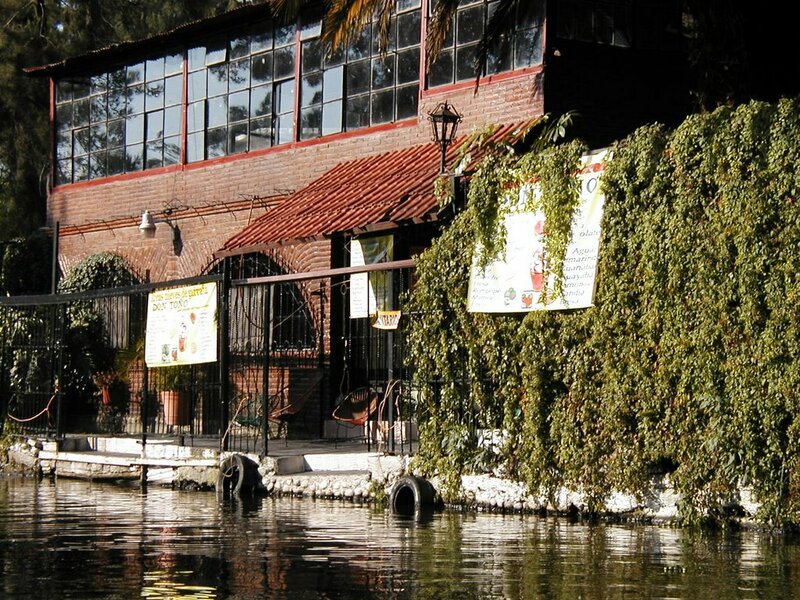 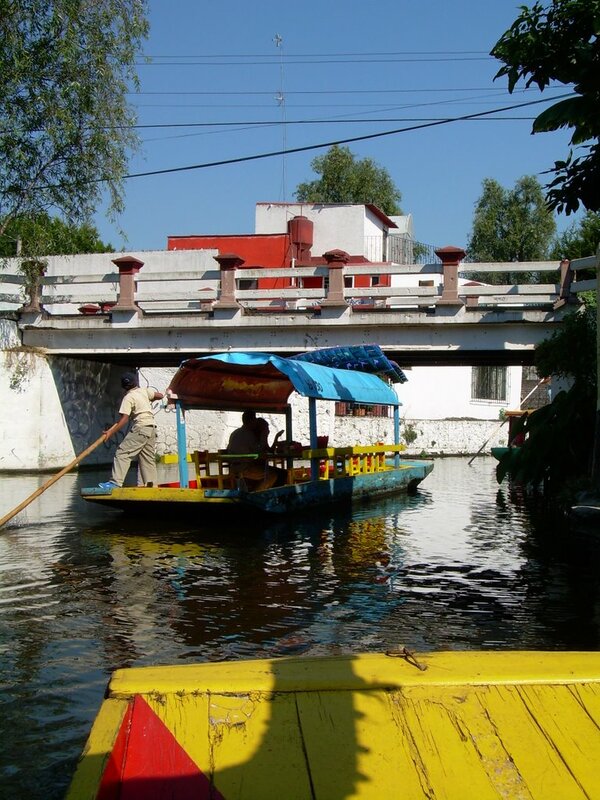 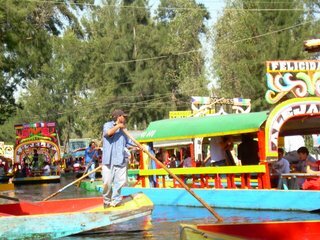 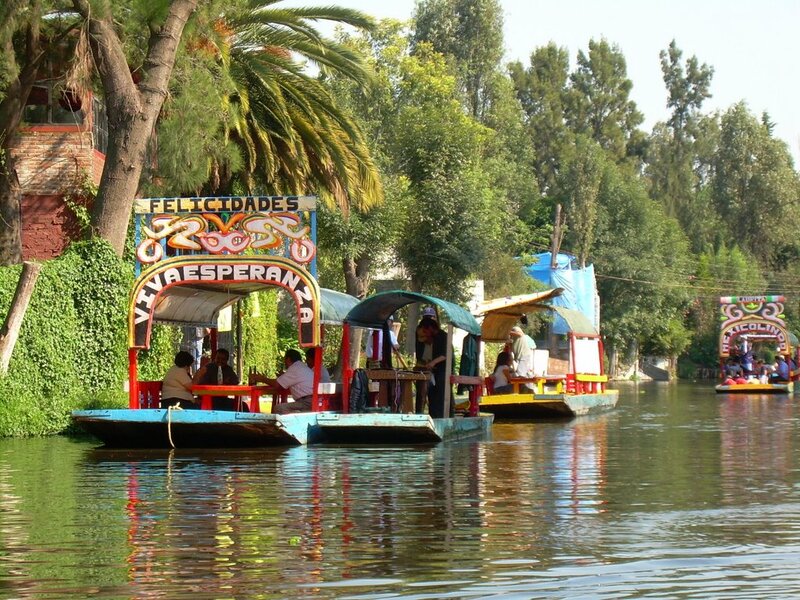 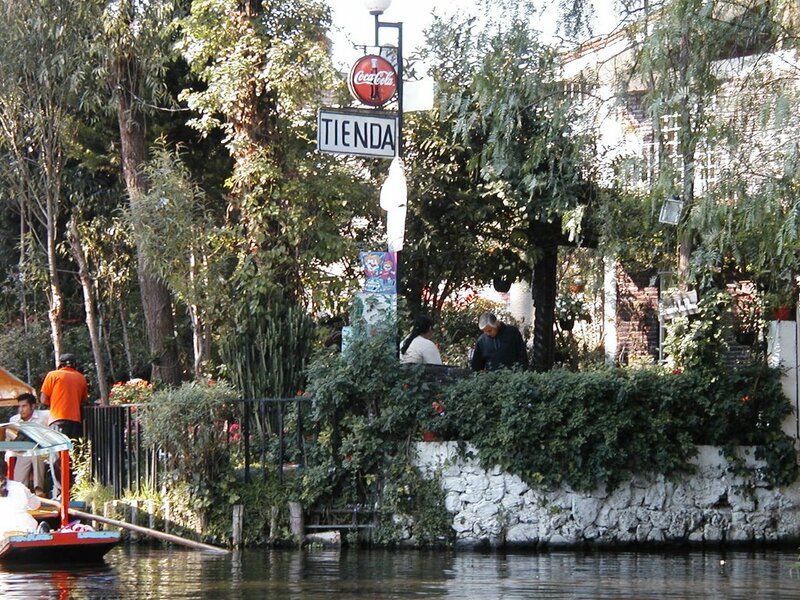 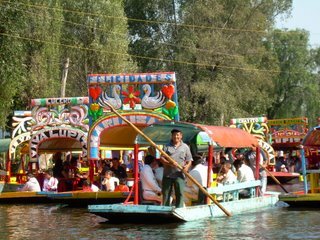 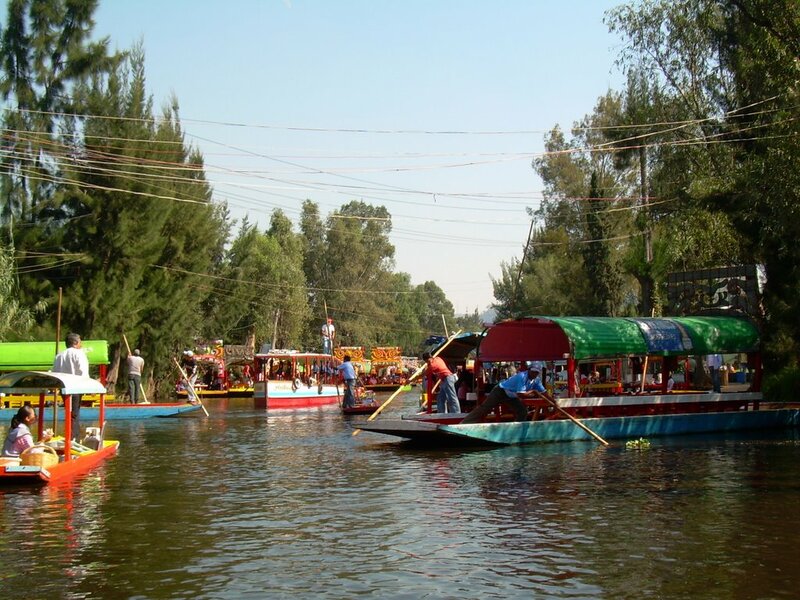 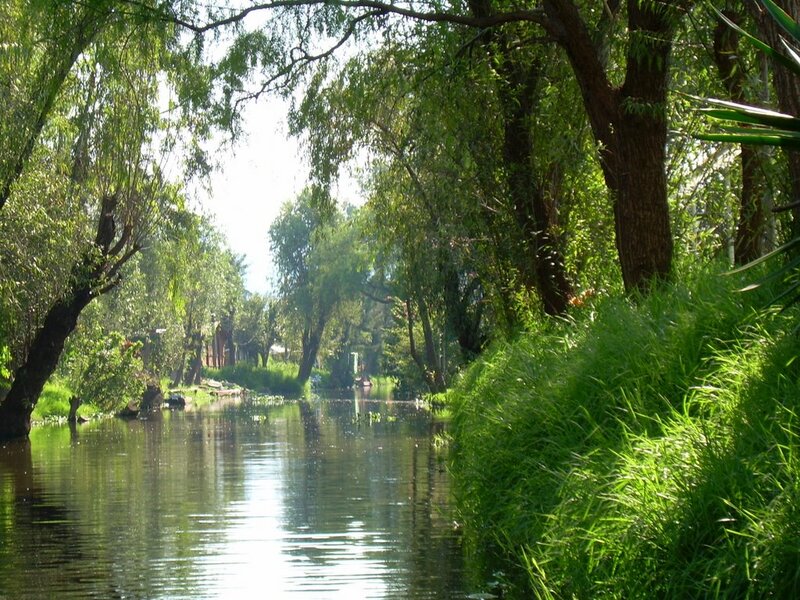 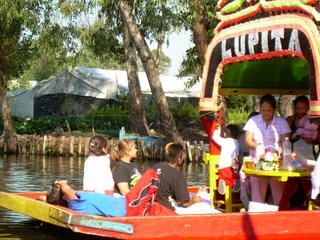 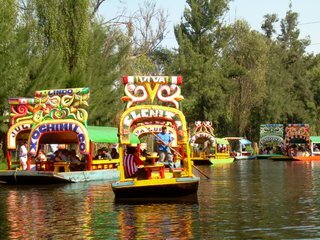 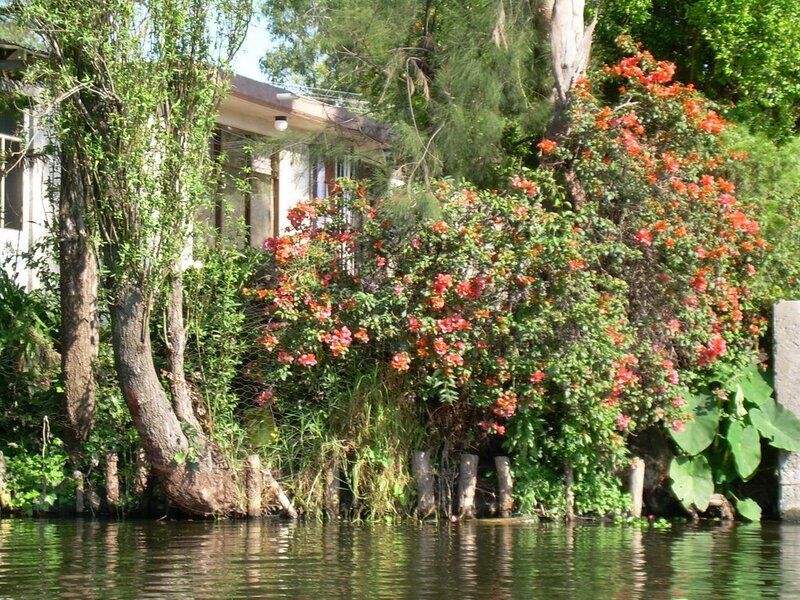 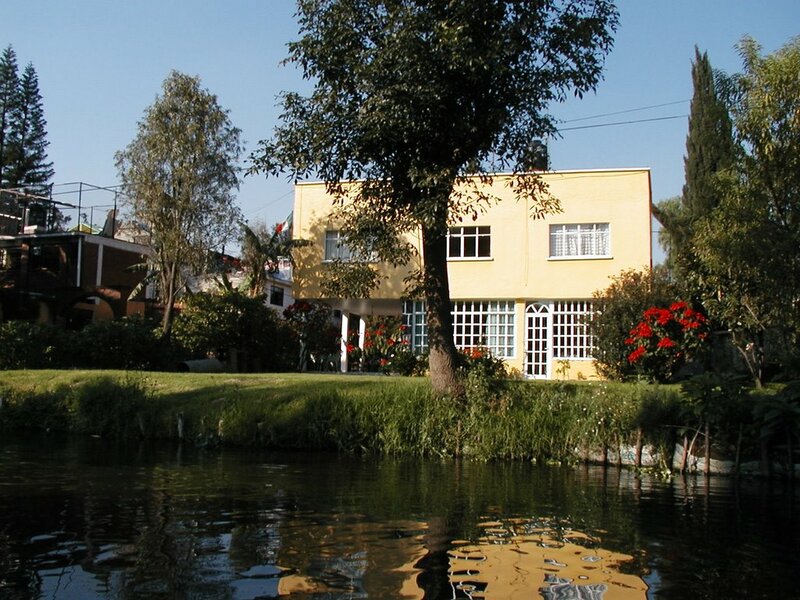 In the south of the city, at the end of the light rail extension that leaves from Tasquena metro station, lies -- although maybe 'floats' might be a better word -- the suburb of Xochimilco. 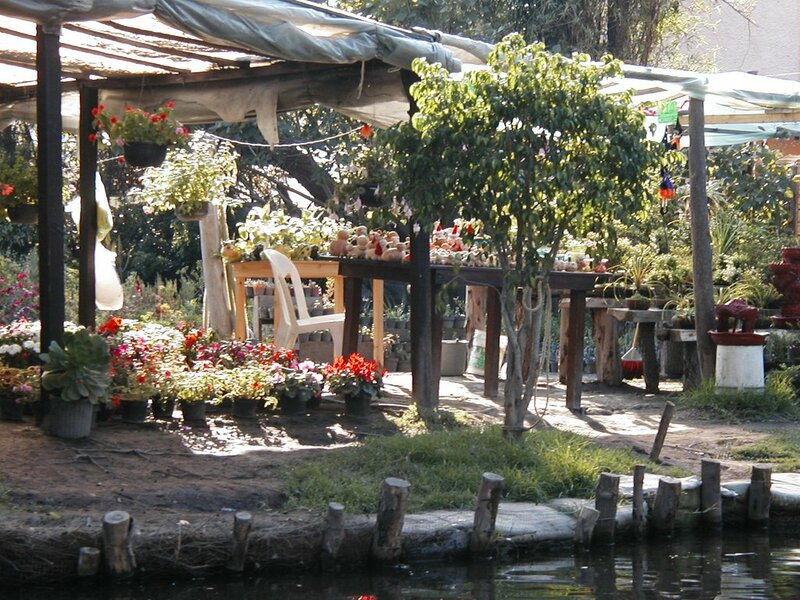 In thi spart of the city there are still canalsand floating gardens, with houses going down to the water's edge. 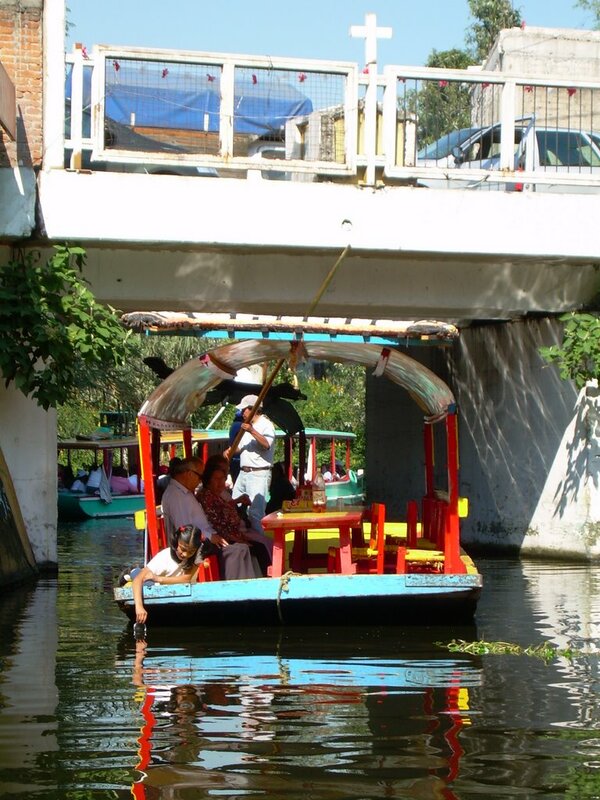 A complex network of canals and channels ties together a system of nurseries and bars and entertainment lounges, and souvenir shops, and residential housing. 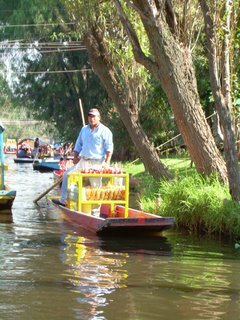 Many people use small punts to get to the 'mainland' and to peddle their wares along the waterways. 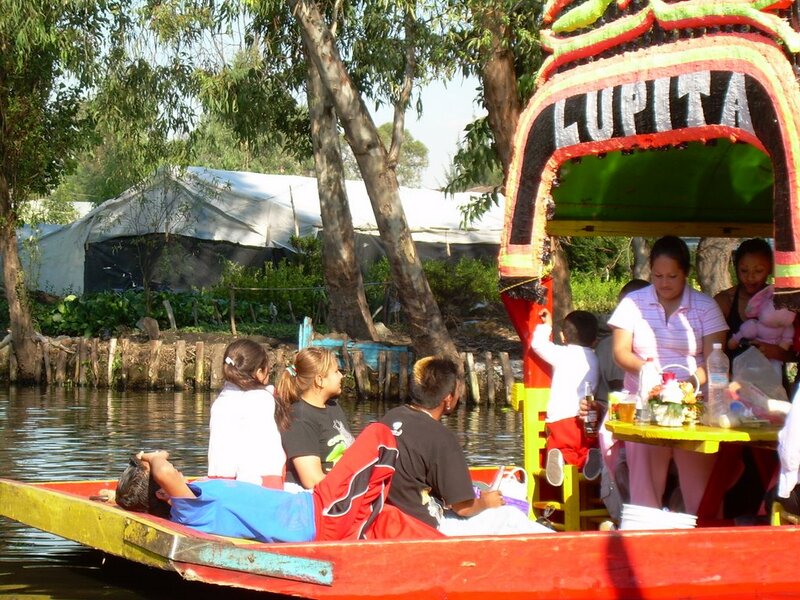 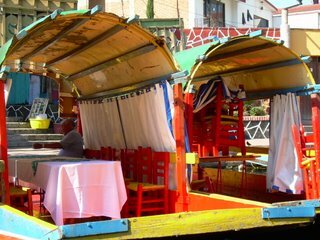 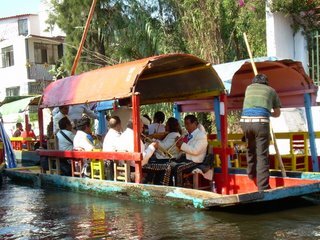 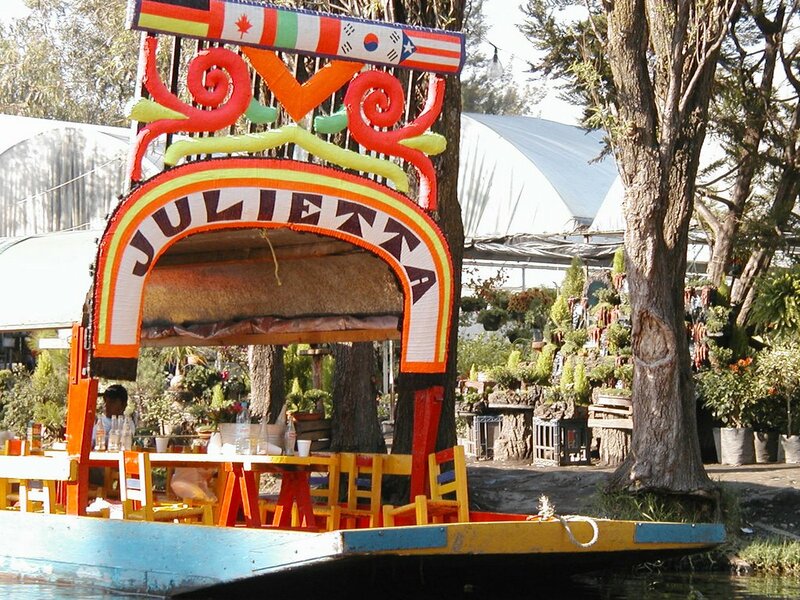 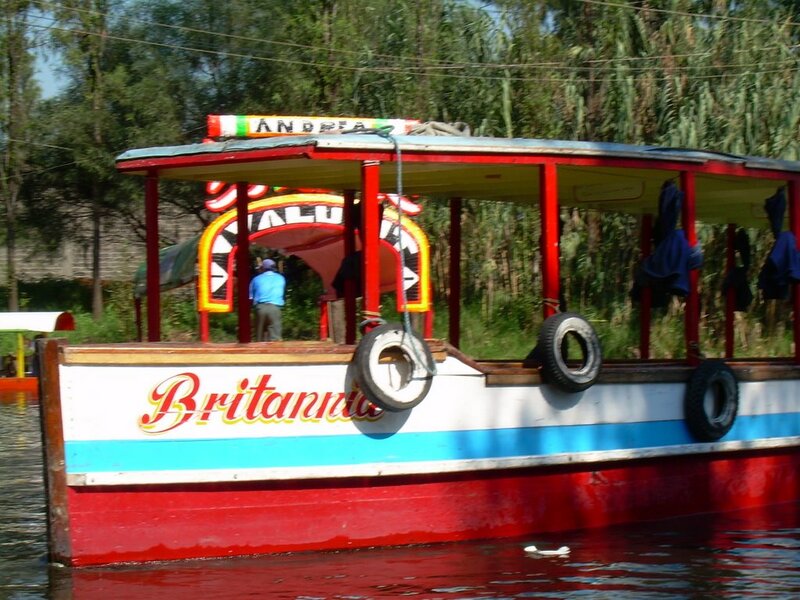 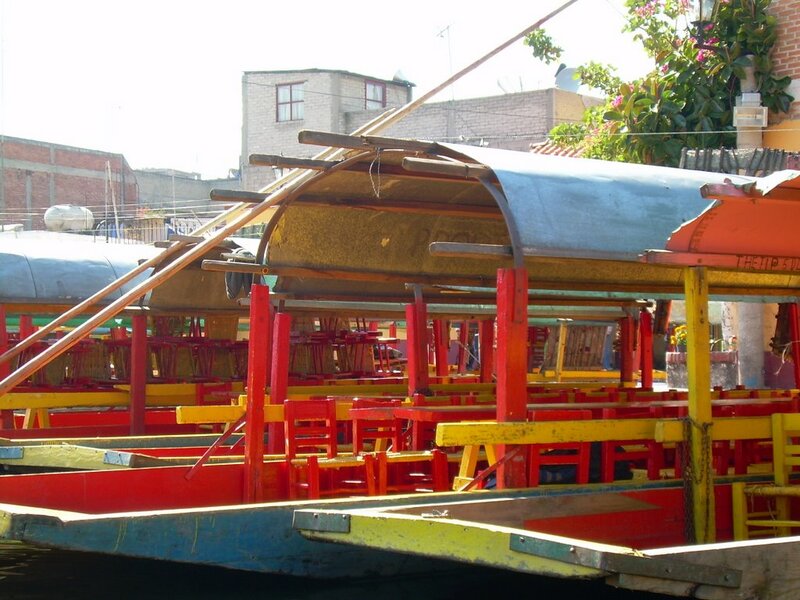 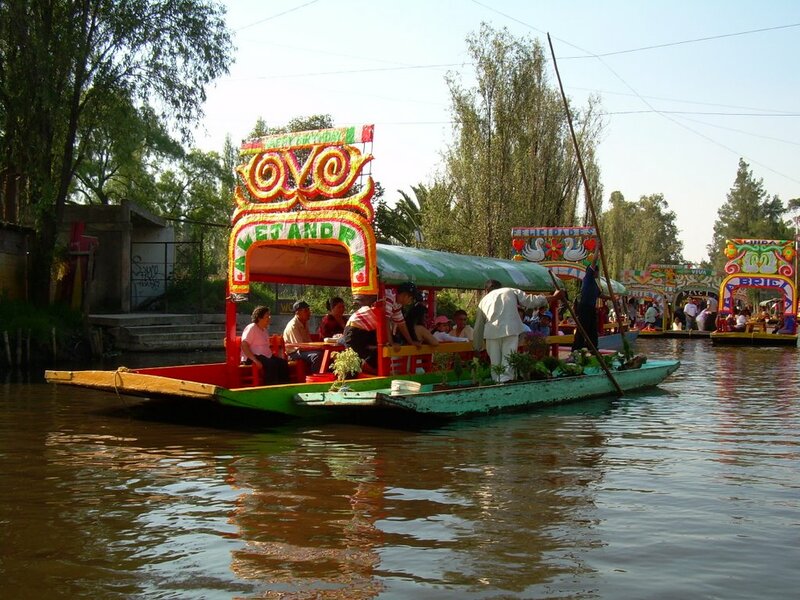 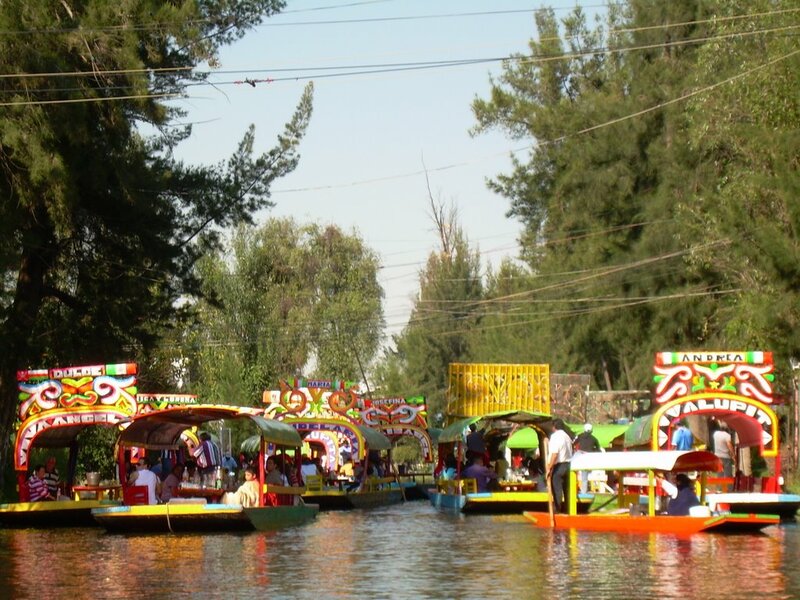 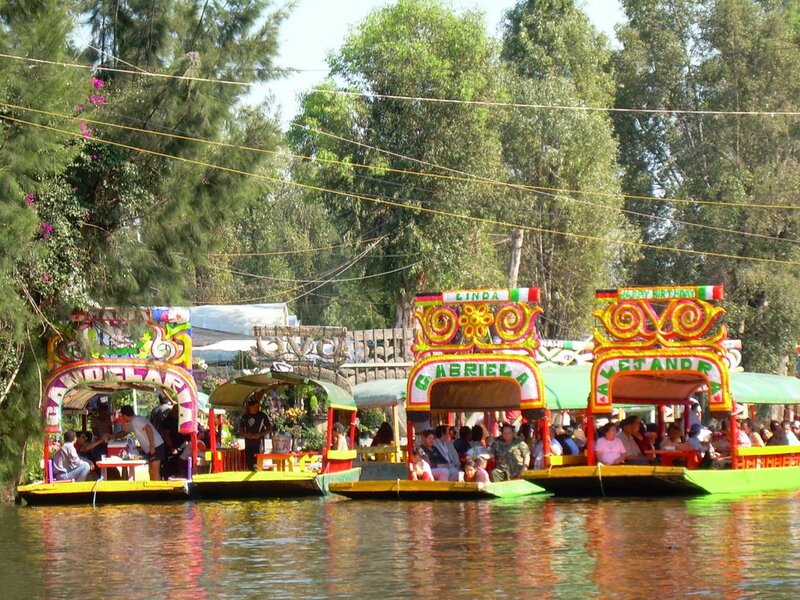 This is a popular tourist and relaxation location, the main attraction of which is the flotilla of literally hundreds of covered punts and barges that get poled up and down the waterways as floating parties and restaurants, and temporary bars with music served up by mariachis. 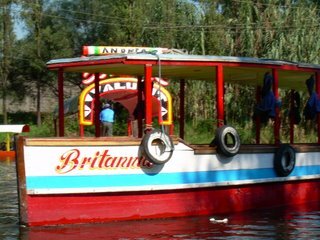 The sole tourist or a small party of tourists may rent a vessel by the hour. 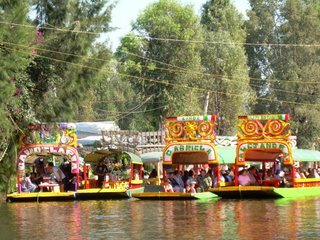 You can take a meal and drink with you, or you can buy what you need once you are under way from any of dozens of vendors on the water. 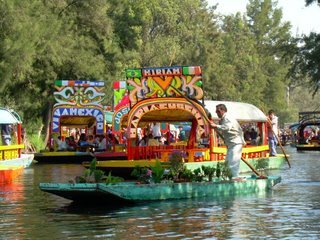 At the other extreme of clientele are kin and friendship groups who have hired multiple craft for some hours to celebrate a major occasion. 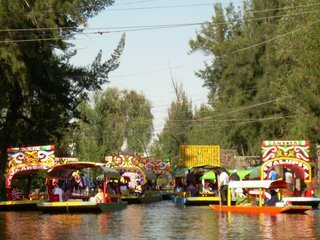 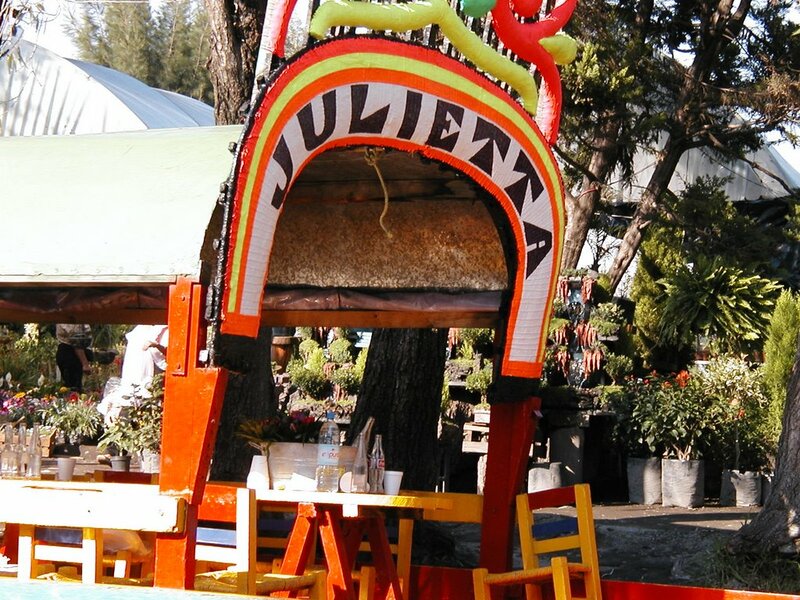 Replete with bar, food, and a mariachi band clusters of vessels will cling together as the celebrations wind on through the day and into the night. The colour and noise are stunning. 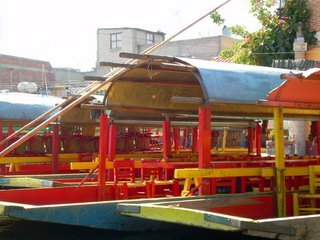 Congestion on the waterways is common on weekends and in the evenings, but the pole wielders are highly skilled and there is always room to make one's way. It is pure joy and fun. People enjoying themselves as the rest of the world slides by, out there some place. Time stands still, yet never seems to be quite long enough. 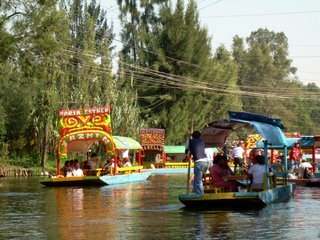 While it is very interesting and plenty of fun to be working in various parts of the world, and an undoubted privilege as well, global work definitely has its downside just now. 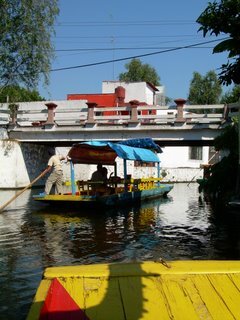 That downside is spending far too little time at home, in Mexico. 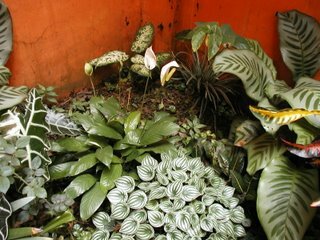 When we are there it is rush, rush, rush to do the maintenance -- to say sorry to the house and the apartment and the gorgeous 3 hectares of coffee bushes for however weeks or months of neglect it has been since the last time, and to rapidly set about putting things to rights. There is little time to sit back and enjoy the environment and to take pleasure in the work done. 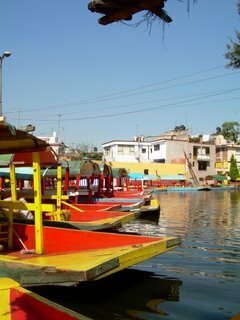 I had 10 days in Mexico in late October through early December. 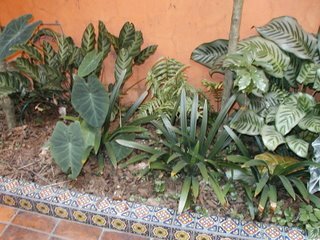 This was enough time to organise Pastor to clear the first half of the coffee land, which he did using a weed eater, and did to excellent effect. 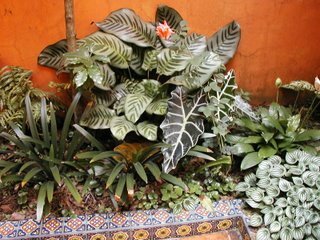 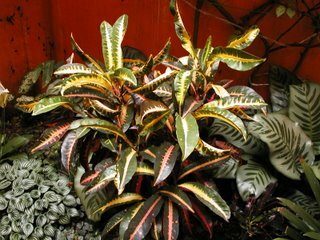 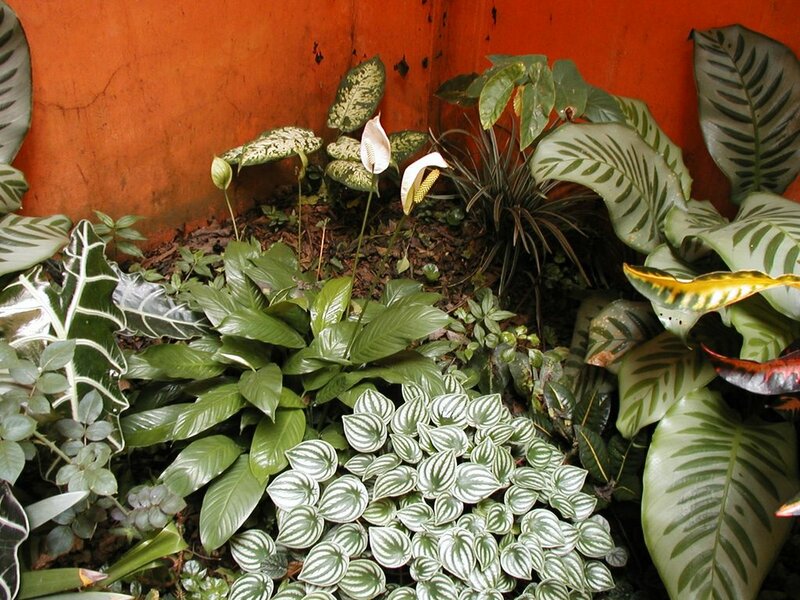 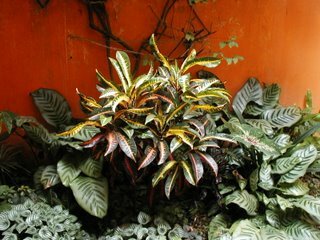 For me it was enough time, barely, to deal to the gardens at the house in Coatepec -- getting in soil and mulch, clearing overgrowth and cutting back bugambilia -- cleaning the place, doing a bit of painting, paying the bills, visiting friends, and getting out and about just a little in Mexico City. 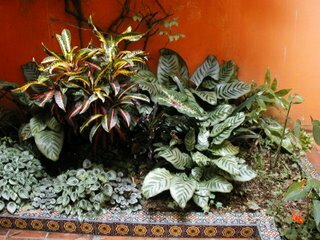 The following pix get a little of the front courtyard garden. 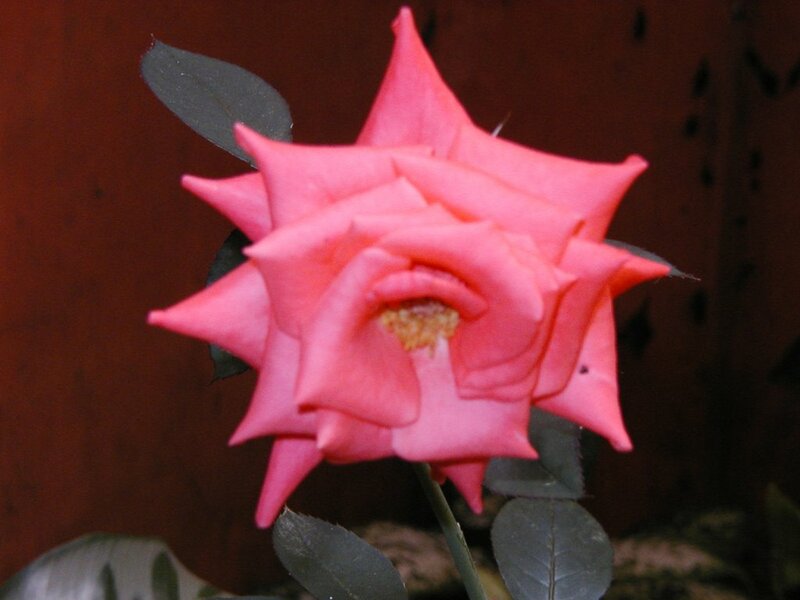 It survives well, given how little attention it gets. 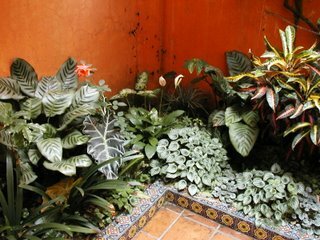 And as for the coffee, it is worth remembering that by the time those lower branches have cleared the orange wall they are already more than 3 metres tall. 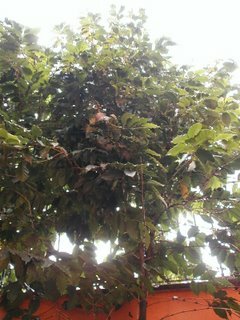 These coffee bushes are now nudging the powerlines, around 18 feet above ground level. 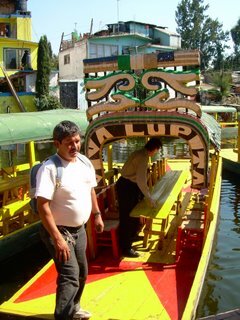 That's a fair way up a ladder to be dropping the beans into a bucket at harvest time. 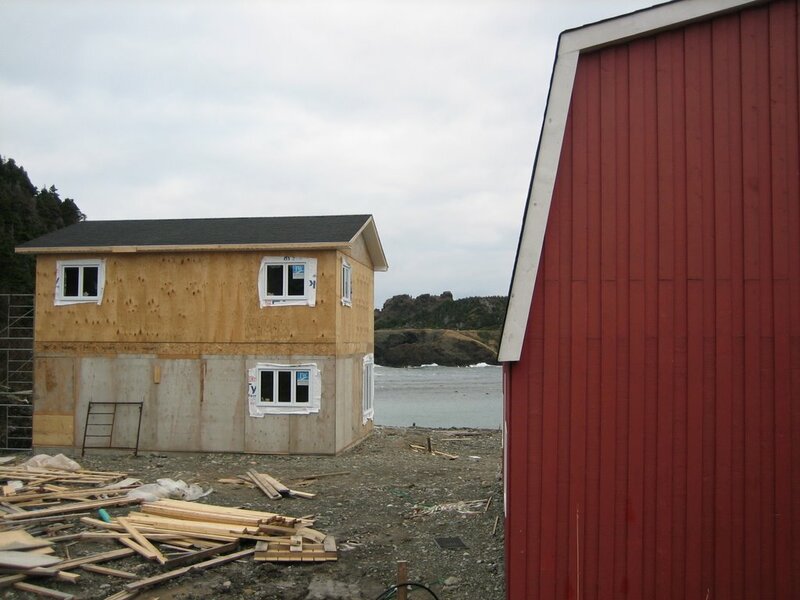 Video recording a doctoral candidature confirmation seminar provided a perfect reason to skive off from Montreal to a few days and get back to Bottle Cove. October is the month where it starts to get cool on the Rock, but there are ample sleeping bags in the barn to make it an attractive proposition. 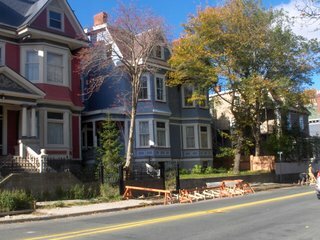 Plus, I wanted to check out progress on the cottage building. 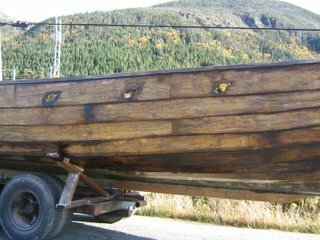 What I did not count on was getting to see some local industry conducted at the behest of a film company making a film to be called "The Outlander". 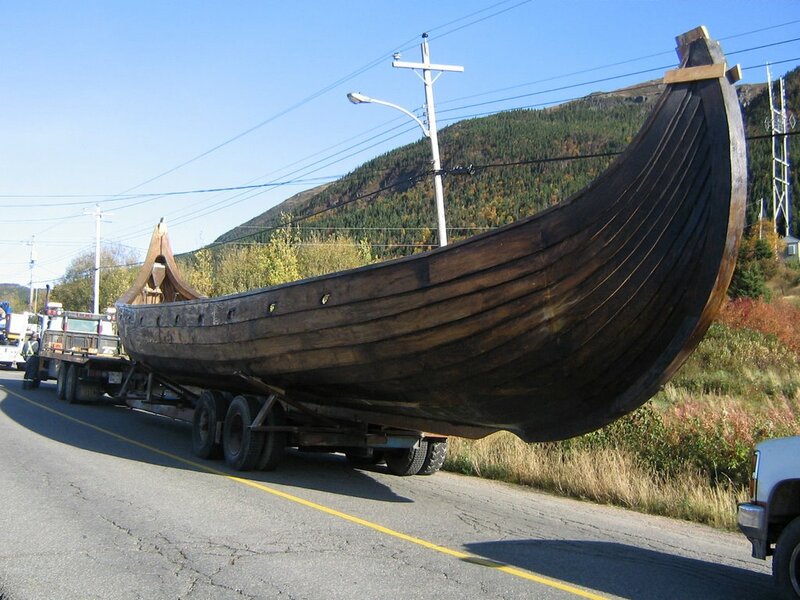 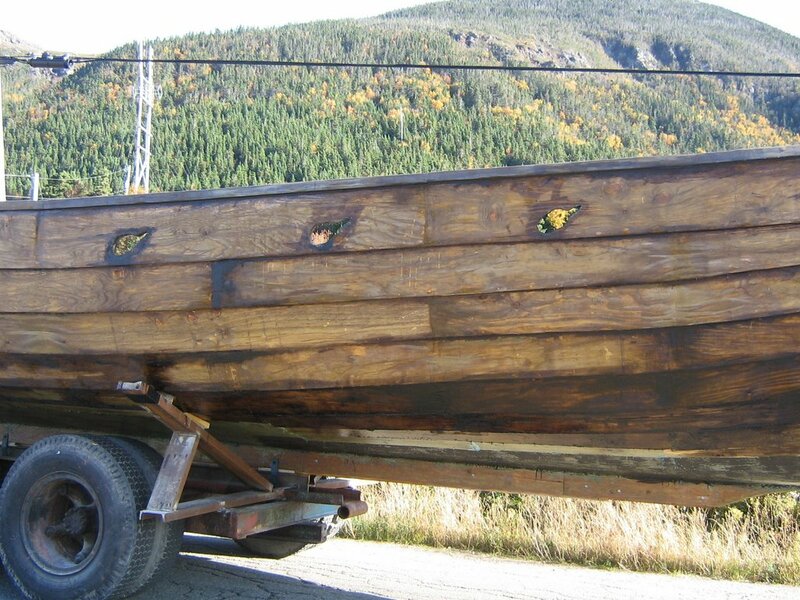 Filmed partly in Nova Scotia and partly in the Lark Harbour area around Bottle Cove, the Outlander called for the construction of a replica viking long ship. As luck would have it, the day I was heading back for Montreal was the day they were launching the long ship at Little Port, just next door to Bottle Cove. I caught up with the articulation on the road. 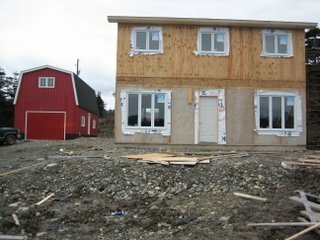 And Ray and Gary have made great progress on the cottage. 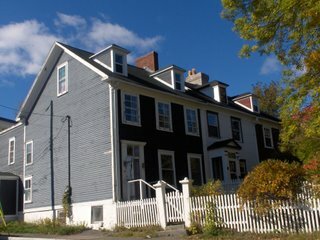 Winter came early and there was not enough time to clad the cottage in the weatherboard style of the old saltbox houses we are imitating. 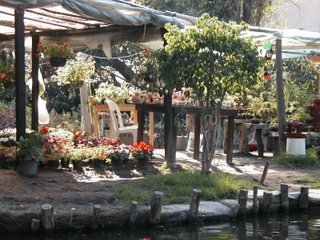 But the general idea is clear enough and with luck will be realised by the end of the next northern summer. 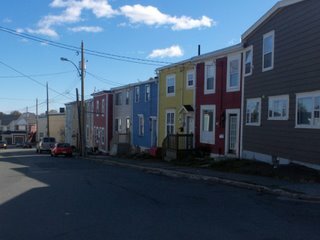 While we have now had three summers in the wonder of Newfoundland it was only recently, in mid October, that we finally made it to the east coast, to the capital, St John's. 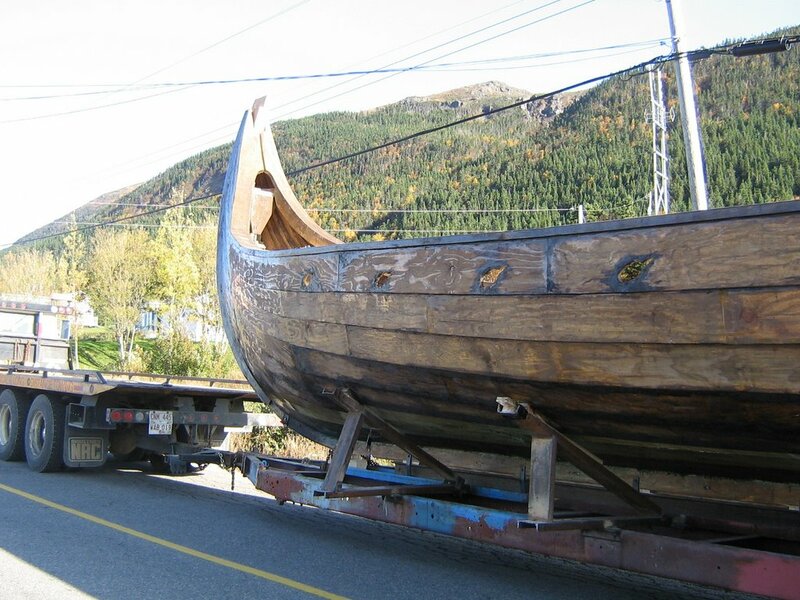 This was keynote duty for a conference funded by the Social Sciences and Humanities Research Council of Canada. We were able to catch up with some old friends and colleagues and meet up with some new ones. 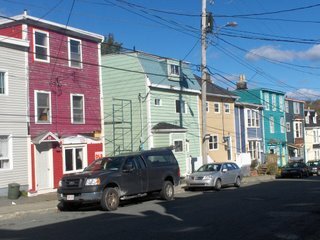 Most of the time was taken up with conference activity, but there was enough time to get out and look at the famous colour of St John's, in its flora and its built environment. There was an evening walk around Signal Hill, at the northern head of St John's Harbour, plus a lovely sunny morning spent walking in the city looking at the town's architecture. 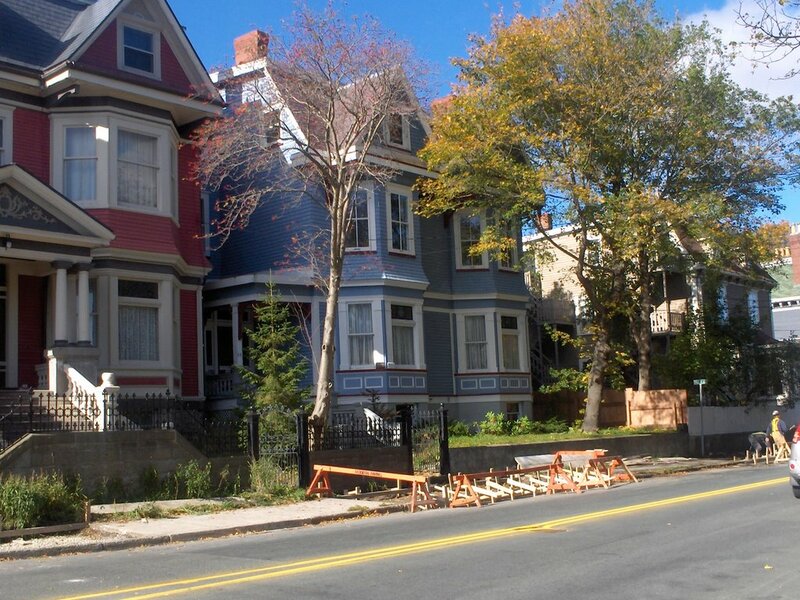 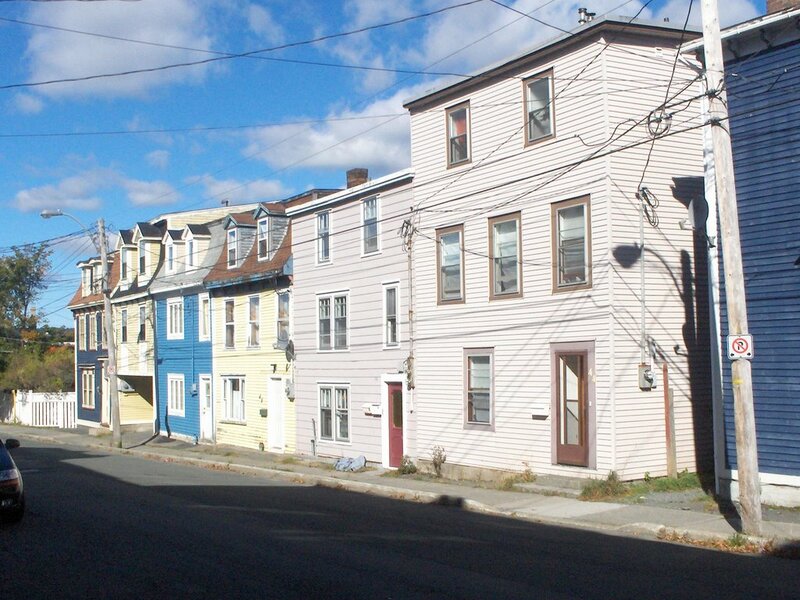 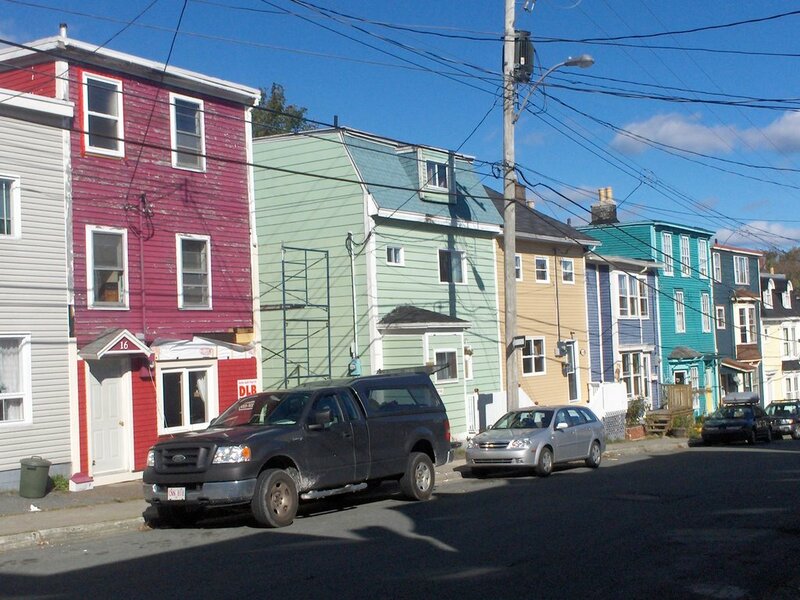 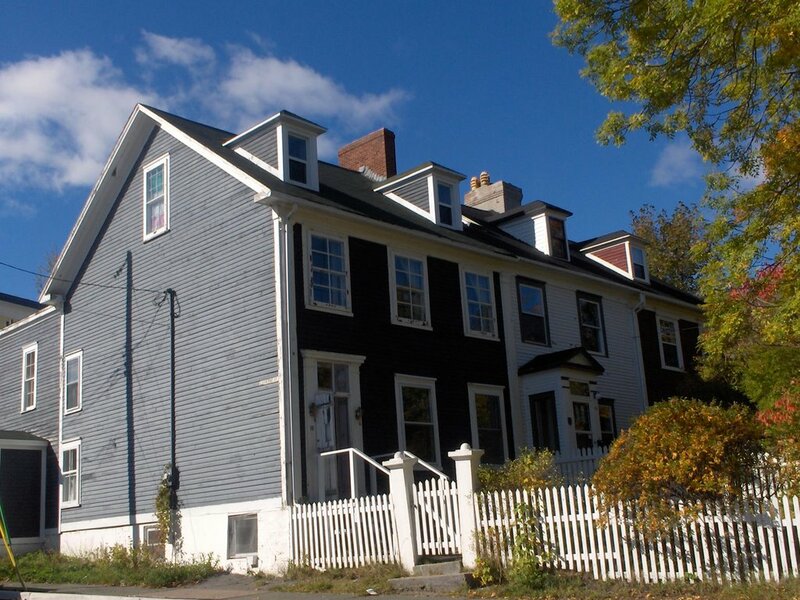 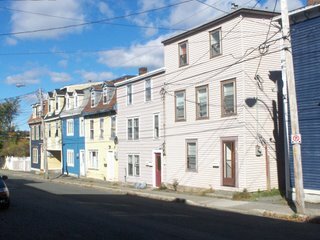 St John's has a long and colourful history which is reflected in the streets and homes around its centre.